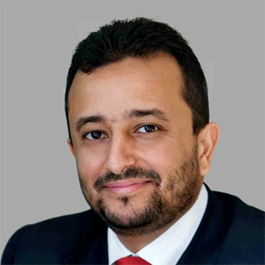 Hussam Sultan is an experienced international Islamic banking and finance professional whose interests include product development, commercial banking, Sharia authenticity, poverty alleviation, Fintech and environmental sustainability. He is currently working as Head, Commercial Banking at HSBC Amanah Malaysia Berhad. Prior to that Hussam worked as an advisor to Fajr Capital on Islamic product development, Shariah compliance and select strategic projects. He had previously held positions at HSBC Amanah in both the UK and Dubai offices, Fajr Capital and Bank Islam Brunei Darussalam (BIBD). He played a pivotal role in growing the HSBC Amanah business in the UK and was involved in the launch of innovative Islamic retail and corporate banking products at BIBD. Hussam has a BEng in civil and structural engineering from University College London (UCL), UK, an MSc in Environmental Management for Business from Cranfield University, UK, with research focus on sustainable banking. He also has certifications in Islamic banking and finance, marketing, finance and project management.